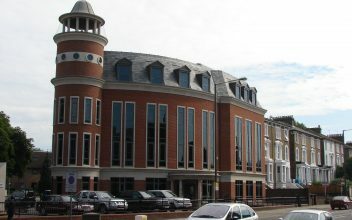 Disposal of existing commercial property is diligently undertaken in consultation with the client, with full circulation of property details to a regularly updated computerised database of applicants. We also have access via internet portals, to all the major commercial property websites, where our clients’ properties are advertised in order to maximise exposure. For corporate clients and owners of larger properties, individual campaigns can be undertaken to a broader market. We have experience in the sale and letting of Office, Shop, Restaurant, Industrial, Warehouse and Motor Trade premises, Community Halls, Churches, Schools and Sites with development potential. We have the facilities to market any type of commercial property with the assistance of specialised mailing lists. Finding the right premises is essential for any new or expanding business, and Sinclair Jones provide a comprehensive acquisition service that will assist clients in determining the most suitable type, size, and cost effective building, including valuation advice and negotiation of the optimum deal with the landlord or vendor. Through our membership network of National agency associations, including the Office Agents Society and the Industrial Agents Society, we can deal agent to agent to ease communication and negotiation on behalf of our retaining Clients. Comprehensive portfolio planning is essential if the most beneficial and profitable use of business premises is to be achieved. Sinclair Jones can advise on alternative uses, sub-letting, break-ups, or redevelopment potential, the latter of which can be undertaken in collaboration with national housebuilder and commercial developer clients. Since 1 October 2008, most commercial properties being marketed have required the production of an Energy Performance Certificate, prior to completion of a Lease or Sale. Subsequent changes to The Energy Performance of Buildings (Certificates and Inspections) England and Wales Regulations 2007 makes it illegal to market a property without first obtaining an EPC. Sinclair Jones can instruct an Energy Assessor upon behalf of Clients, as part of any marketing process, to ensure compliance.